On behalf of Kirra Galleries and our staff I would like to wish you a safe and Happy Christmas and a prosperous New Year. Thursday 27 December 2012 - 10.00am to 6.00pm. 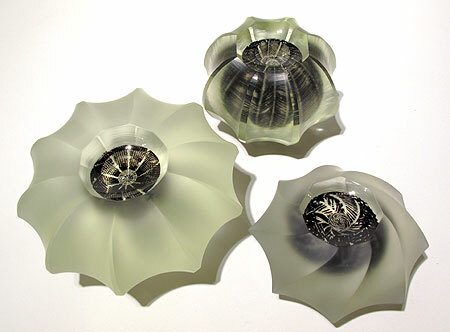 South Australian Glass Artist Zoe Woods has been awarded the Kirra Galleries 2012 Emerging Glass Artist Award following her exhibiting in the Arts Council of Mansfield's recent exhibition ArtVision "Glass in a Fragile World." 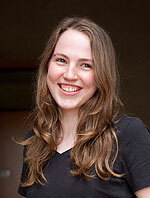 As many people would be aware Kirra Galleries has for the past decade supported young and emerging glass artists. Recently I had the honour of opening the exhibition of Glass Art by the Arts Council of Mansfield which featured 46 chosen artists from 74 entries. The unique exhibition was of extremely high standard and was held in the local Stolz Furniture shop in the main street of Mansfield. I was delighted to support the staging of regional glass art exhibitions such as the ArtVision "Glass in a Fragile World" as it assists in widening the appreciation of glass art in regional Victoria. The exhibition was a credit to all involved especially the Coordinator of ArtVision, Gilli Bruce. Gilli led a team of dedicated local people including: Ros Adams - Winemaker; Marg Attley - Shire Councillor and glass artist; Melinda Grant - President, Arts Council of Mansfield and Gwen Gray - well-known community member. Anne Clifton, President of the Australian Association of Glass Artists (Ausglass Ltd) and Donna Cooper, Executive Director, Architectural Glass & Design Australia (AGDA) also assisted the local committee to bring the exhibition to fruition. For her award winning piece of glass art Zoe has received a prize of $600.00 and the opportunity to exhibit her work at Kirra Galleries over the Christmas period. 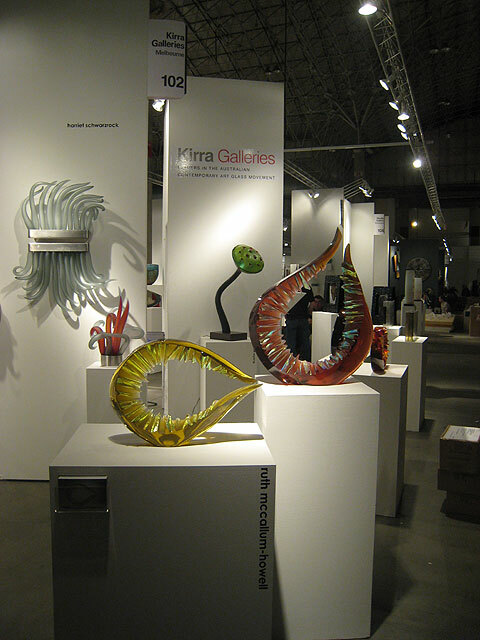 The 19th Annual International SOFA (Sculpture Objects & Functional Art) exhibition took place at Chicago's historic Navy Pier from Thursday 1 November to Sunday 4 November 2012. Kirra Galleries exhibited the work of twelve Australian Glass Artists showcasing a variety of techniques with many pieces sold. 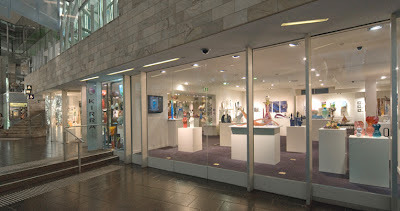 For nine years, Kirra Galleries, located in Federation Square in Melbourne, through its policy of promoting Australian Contemporary Glass Artists internationally, has taken the work of some forty artists to the renowned SOFA exhibition with the support of the Australian Government through Austrade and the Australia Council for the Arts. 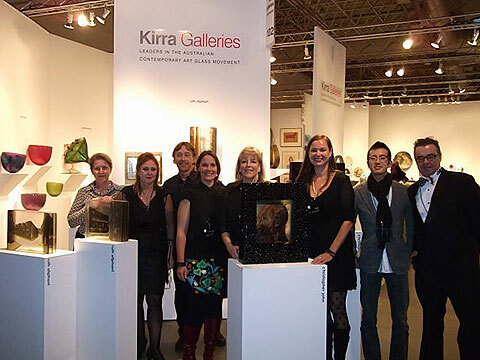 The success of Kirra Galleries' exhibition at SOFA is supporting the development of international markets, recognition for Australian artists, and providing new and emerging glass artists the opportunity to gain international exposure. Their works are now included in many of the most prestigious private and public collections in the USA. Through this exposure they have also gained international representation allowing them to make a full-time commitment to their art. Tevita Havea, Christopher John, Mikyoung Jung, Annabel Kilpatrick, Ruth McCallum-Howell, Ruth Oliphant, Harriet Schwarzrock, Tim Shaw, Crystal Stubbs, Emma Varga, Robert Wynne and Yusuke Takemura. The Gallery was represented by our Gallery Manager and Curator, Suzanne Brett, Gallery Coordinator, Yasmin Brett and the Gallery's Administration Manager, Vicki Winter. There were also a number of artists who joined the Gallery at SOFA - Mikyoung Jung, Harriet Schwarzrock, Tim Shaw, Emma Varga, Robert Wynne and Yusuke Takemura - their assistance at the show was invaluable and I would like to thank them all for making the trip to Chicago. Alasdair Gordon, Kevin Gordon, Rish Gordon, Holly Grace, Tony Hanning, David Hay, Miki Kubo, Amanda Louden, Mariella McKinley, Peter Nilsson, Yusuke Takemura, Kayo Yokoyama. Kate Baker, Brenden Scott French, Christopher John, Mikyoung Jung, Simon Maberley, Ruth Oliphant, Ben Sewell.